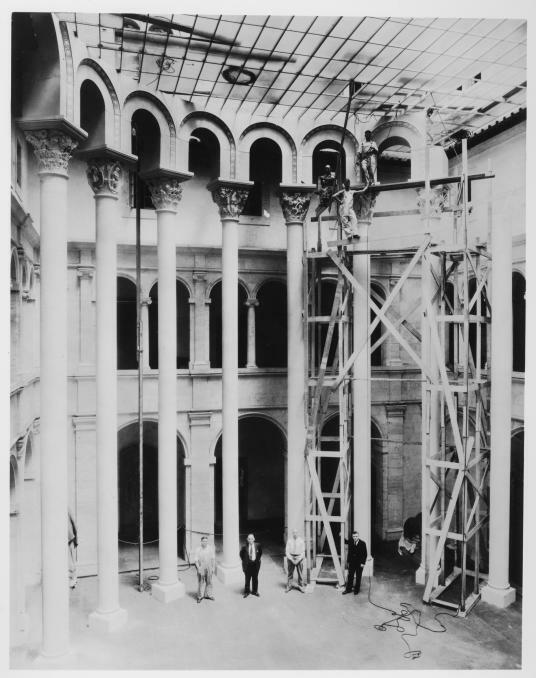 Cluny Capitals installation in progress, Calderwood Courtyard, Fogg Museum, August 1933. Photographs of the Harvard Art Museums (HC 22), folder 2.25 ¾. Harvard Art Museums Archives, Harvard University, Cambridge, Mass. Join us in the Art Study Center for a glimpse into the history of the Harvard Art Museums. In celebration of American Archives Month, select historical photographs, correspondence, objects, and more from the Harvard Art Museums Archives will be on view for close examination. Archives staff will be on hand to share the stories behind the materials. The Art Study Center is located on Level 4. No appointment is necessary during open hours. Please be prepared to present a photo ID. Children age 14 and older are welcome but must be accompanied by an adult.